I do however, turn into more of a Slummy Mummy when en vacances – As much as I believe breakfast is the most important meal of the day, I am also a firm believer in taking a break from the norm. It’s cathartic and good for the soul to indulge and let one’s hair down! So we buy the giant size family pack of Kellogg’s Frosties and rot the Little Chap’s teeth for a few days. Ours too. Of course, we don’t lapse the tooth brushing, it’s important to maintain one’s basic standards! Best of all about the early start to the holiday, is that we have to stop for breakfast en route, usually at one of the better Little Chef restaurants somewhere north of Peterborough. The chain has recently been taken in hand by Heston (Blumenthal) but they still offer a fabulous range of cooked breakfasts, something else we rarely have at home. I like to think it’s more to do with my Alpha breakfast choices than the reality, which is that I just don’t have the energy or inclination to make time and cook first thing in the morning. I’m happy to do it any other time of day but breakfast is Mayfair Dad’s role at weekends and a perfunctory cereal and toast offering is all you’ll ever find me presenting Monday to Friday. So you can imagine my excitement at the prospect of a bit of crispy bacon, American style, with maple syrup pancakes and piping hot eggs, scrambled to perfection! 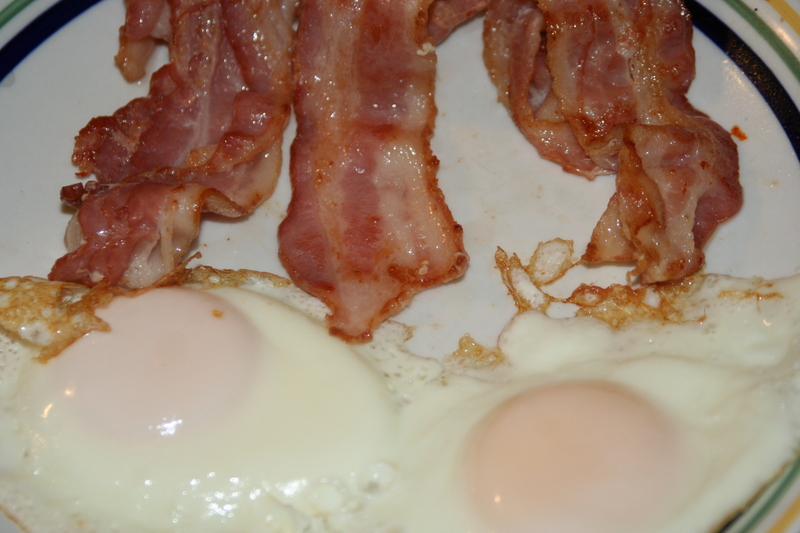 Or sometimes I go all out on the famous All Day Breakfast with extra mushrooms and bacon – yum! So, here we are, arriving at our destination in the beautiful Yorkshire Wolds, looking forward to walking off those extra calories in the country air, only to find its pouring with rain! Ah, the great British Summer Holiday! It’s got nothing on our breakfasts! This entry was posted in Memory Lane, Parenting & Family and tagged days out, family life, food, humour, parenting, rainy days, travel by Mayfair Mum. Bookmark the permalink.